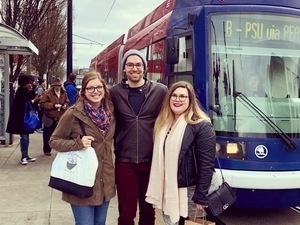 A rich variety of renowned cafes and pioneering micro-roasters can be found in each of Portland’s diverse neighborhoods, but there’s no better way to explore the delicious coffee scene than by jumping on the streetcar. On this three-hour walking tour, you’ll sip your way through Portland’s coffee scene in downtown, the Pearl District and the Central Eastside. You’ll visit five micro-roasters and cafes, experiencing a brew methods demonstration, tasting the city’s finest espresso and participating in a comparative tasting. There’s no better way to experience the diversity of Portland’s café culture.